Subtle color and value changes in black prints make this bed-size quilt pattern a class act. 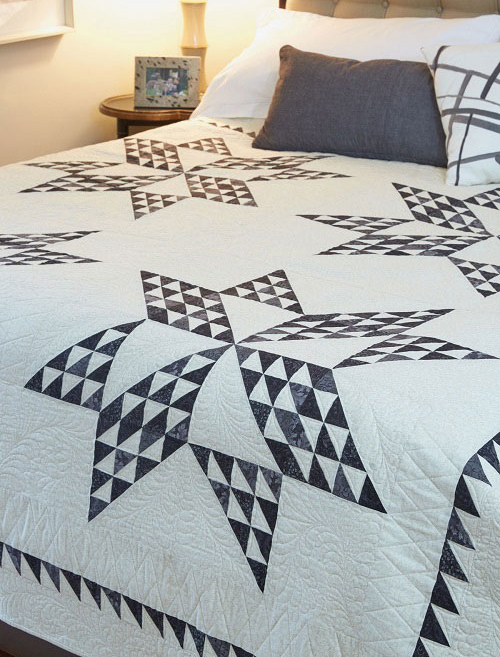 This Star quilt is classy and timeless — it’s the little black dress of quilts! Display this quilt on a queen-size bed or fold it up at the foot of any bed as a useful work of art. This Night & Day Quilt designed by Jackie Robinson for fonsandporter, The Pattern is available for free.